Joyful. Loving. Hopeful. Persistent. That is how those who have the pleasure of knowing Vitani describe her. At the age of 42, Vitani is eagerly awaiting the arrival of her second child. Each day, Vitani takes four tap-taps to get to her job as a cook for a preschool. Despite the long and uncomfortable journey (it can take anywhere from 90 minutes to 4 hours each way to make the trip), Vitani is rarely without a smile. She is simply grateful to be steadily employed. Her husband is a carpenter, but he is only able to find work on occasion. As the main provider, Vitani works hard every day to earn enough money to support her family – including her 15 year old son. She is motivated to press on and face the extraordinary challenges of daily life in Haiti because of her deep desire to see her children thrive. Despite having stable employment, Vitani does not have the financial means required to pay for medical care. 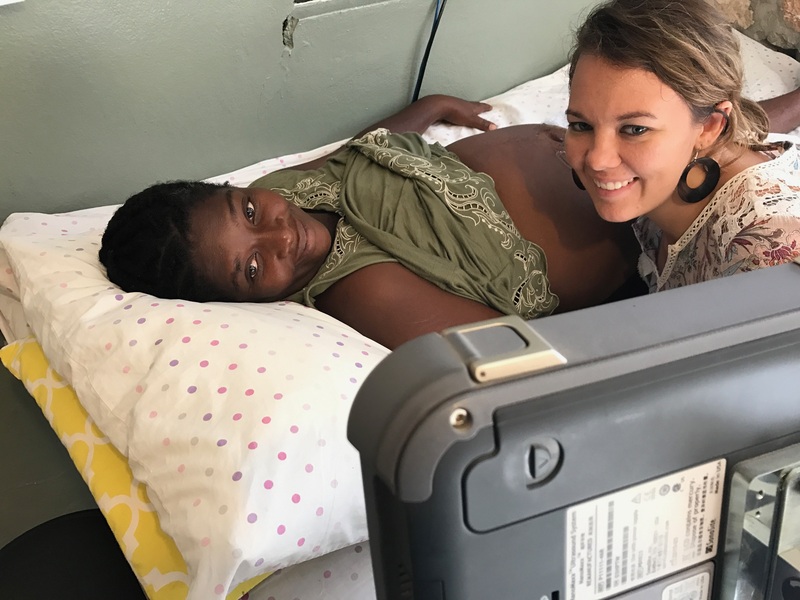 Like the vast majority of women in Haiti, Vitani did not have access to prenatal care or labor and delivery services when she was pregnant with her first son. At the time, she was able to put together enough money to have one consultation during pregnancy. Vitani returned to the hospital on three separate occasions for follow-up appointments – but each time, the hospital told her there was not a doctor present. She couldn’t afford to seek care elsewhere and so when it came time to deliver her son, Vitani gave birth at home without any medical assistance. Thankfully, against the odds, Vitani and her baby boy survived. Thirteen years later, at the age of 40, Vitani found out she was pregnant again! Though surprised, she quickly became overjoyed at the opportunity to welcome another child into the world. Sadly, the pregnancy ended in a miscarriage and Vitani grieved the loss of her baby, wondering if she would ever have the opportunity to hold another child in her arms. Last fall, Vitani arrived at the Heartline Maternity Center with a wide grin. “I think I’m pregnant again, and now I’m even older!” she said with a laugh. The Heartline midwives confirmed that she was 8 weeks pregnant and soon admitted her into the prenatal program. Everyone was thrilled for Vitani and the news of her long-awaited miracle baby! Because of Vitani’s advanced maternal age, she is at high risk for many serious complications that could be life-threatening for her and her baby. The MC staff gave Vitani progesterone to decrease the odds of an early miscarriage and help her baby develop. 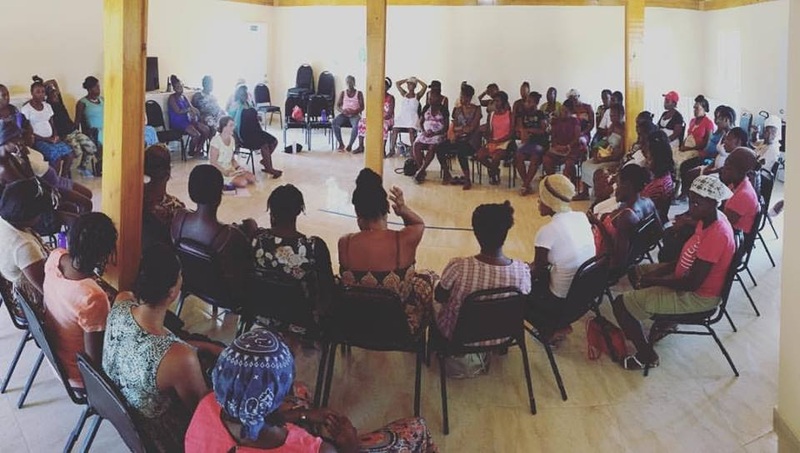 Each week, Vitani faithfully comes for prenatal class and consultation. She eagerly absorbs all of information learned in class and says it has made a remarkable difference for her pregnancy. Vitani has also learned the importance of breastfeeding. In Haitian culture, there are many myths and stigmas about breastfeeding. With her son, Vitani did not exclusively breastfeed because she had been told it was wrong. This time around, she is committed to giving her baby the best chance to thrive by exclusively breastfeeding for the first six months. She is relieved to know she will have the ongoing support and encouragement of the staff and community of moms at the Maternity Center. The education Vitani is receiving is not only making a difference in her life, but has inspired her to educate other women in her community. 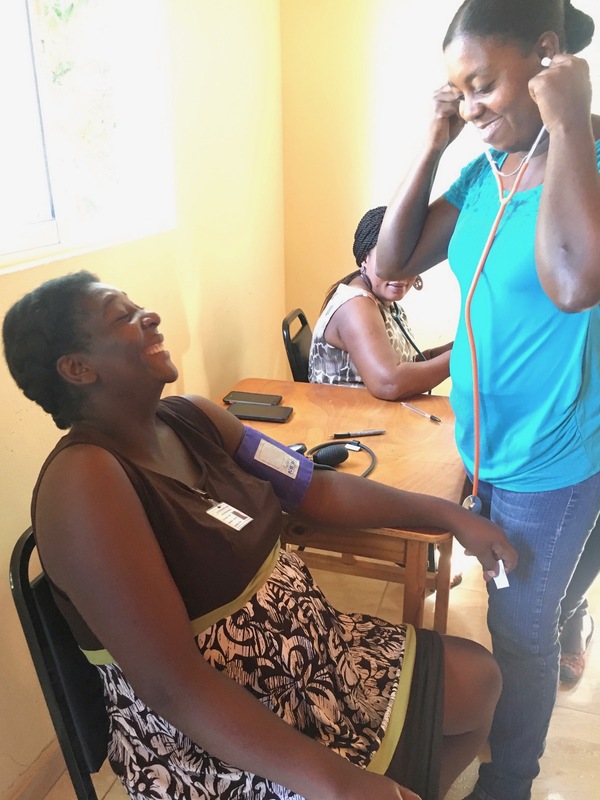 She is constantly sharing the information she learns in class and is encouraging her female neighbors, family members, and co-workers to take good care of themselves and helps them seek medical care when needed. This Mother’s Day, will you help provide Vitani with a respectful and safe place to give birth? Will you make sure she receives ongoing support to help her precious baby thrive? 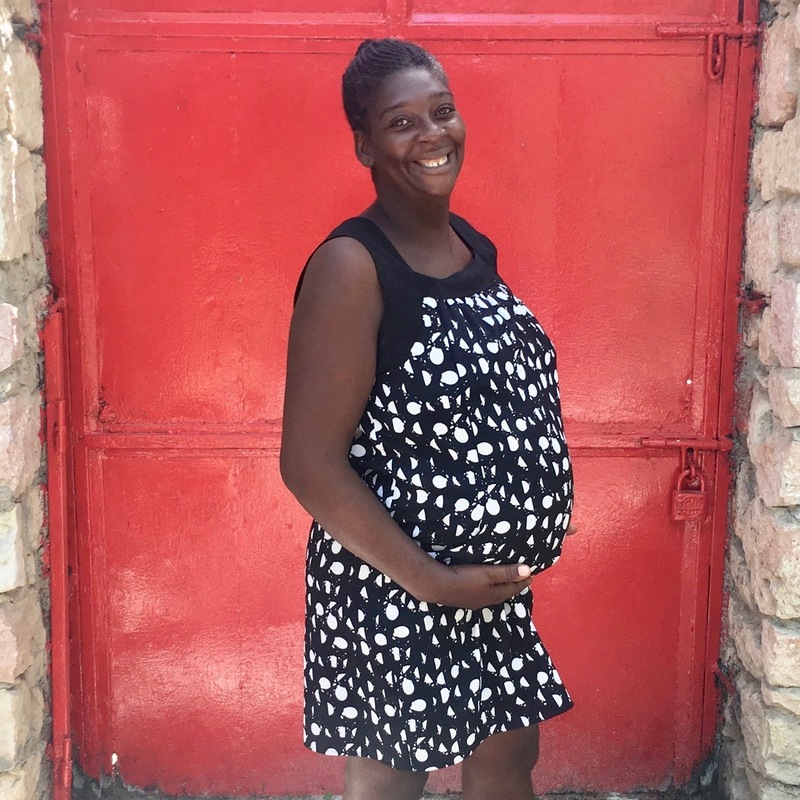 Honoring a special mom in your life with a donation to the Heartline Maternity Center will ensure that Vitani and many other Haitian women receive the highly skilled and compassionate care that every mother deserves. This critical support often means the difference between life and death for women and babies. Your gift will empower and equip mothers with quality medical care, holistic support, and education on how to raise healthy children. When you donate to the Maternity Center, we will send a personalized Mother’s Day e-card to the woman you wish to honor! This Mother’s Day, we honor and celebrate all kinds of mothers – old and young, wealthy and materially poor, moms of one and moms of many, moms who have given birth and moms who have adopted, women who mentor, nurture, and teach the children of others, women who long to become mothers, and mamas who have lost children. We recognize the many roles mothers play in their families and communities. Women have the power to change not only their own families, but the future trajectory of families and children across the world. Will you say thanks for all your mother has meant to you by caring for Haitian mothers who mean so much to their families? 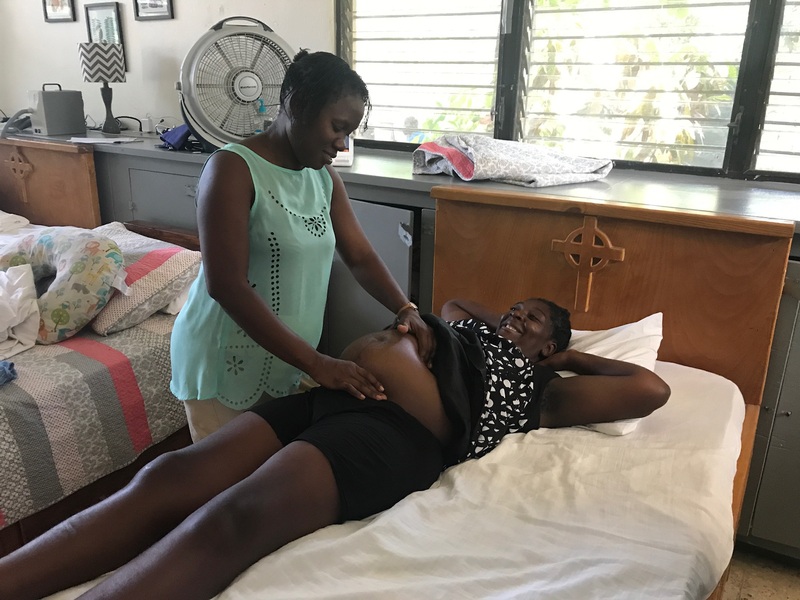 Give a gift to the Heartline Maternity Center in honor of a special woman in your life and make a lasting impact for Vitani, her baby, and our many sisters in Haiti. Thanks for sharing this story with me. Hello Vitani, I am happy to know that you have had your baby. I know what it is to have a brand new baby, I have two sons. Being a parent is a big thing to be and you are a loving mom and I know you and your family will be happy. God bless you and your family.